Dak Nong (VNA) – The friendship associations of Vietnam’s Central Highlands province of Dak Nong and Cambodia’s eastern province of Muldulkiri have signed a minutes to continuously build the shared borderline of peace, friendship and cooperation. 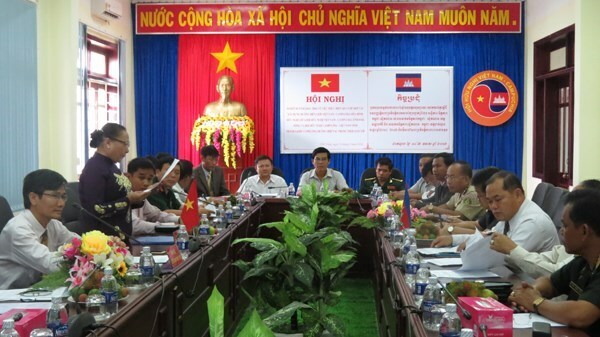 The signing ceremony took place during a conference held in Dak Nong province on June 14 to review the implementation of a Memorandum of Understanding on bilateral cooperation in the field between 2014 and 2016. The two associations will work together to raise public awareness of traveling regulations in border areas as well as the responsibility for borderline protection and prevention of illegal activities. They will also popularise achievements in Vietnam-Cambodia land border demarcation while resolutely protesting distortion and sabotage schemes of hostile forces. The armed forces and people of Dak Nong and Muldulkiri are responsible for defending their shared borderline. Over the past two years, the Vietnam-Cambodia Friendship Associations of the two provinces have actively coordinated to promote traditional friendship, solidarity and comprehensive cooperation between the two countries and peoples.